In this special episode of It’s Alive!, Chris and Eric grab some coffee in the dimension of imagination. We sit down and discuss the impact Rod Serling’s Twilight Zone has had on television and modern culture. We also put on our intellectual caps and examine the themes in 2 of the best written episodes and how they relate today. So find your middle ground between light and shadow, between science and superstition, as the It’s Alive! Podcast delves deep into the pit of man’s fears and the summit of his knowledge. This entry was tagged 80's horror, a nightmare on elm street, action figures, alfred hitchcock, alien, aliens, artist, blair witch, child's play, chucky, cinema, classic, clown, collectables, comedy, costumes, crime, dark history, dracula, dvds, exorcist, film, freddy krueger, ghostbusters, godzilla, halloween, hellraiser, horror, horror movies, interview, it, jason vorhees, king kong, masks, michael myers, mummy, murder, music, night of teh comet, night of the creeps, nostalgia, pacific rim, paranormal, pennywise, Podcast, psycho, review, rob zombie, rogue one, science fiction, serial killer, skull island, star wars, stephen king, stranger things, tales from the crypt, the crow, the mummy, toys, toysrus, universal studios, upside down, van helsing, wolfman, zombies. Bookmark the permalink. 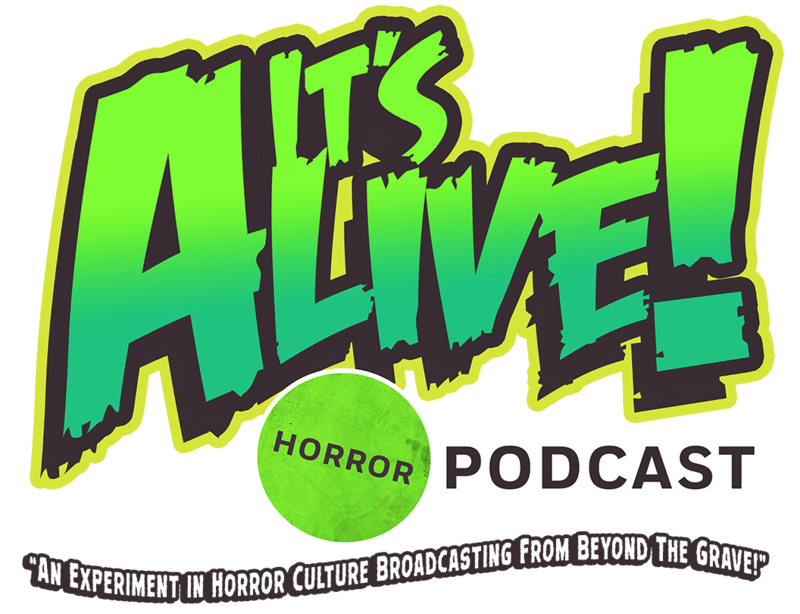 We recorded a super sweet episode of Its Alive Horror Podcast in which we discuss our favorite episodes of the Twilight Zone! This episode spawned because I was on a huge Twilight Zone binge. I must of watched about 2-3 seasons within a weekend. I couldn’t help but marvel at how relevant each episode was. I mean they almost ALL had connections to our modern culture and society. I knew we had to discuss it! This episode did get a bit political but in a good way. It highlighted the obvious issues and connections that we, as a modern society, are facing. We will never apologize for that – sorry not sorry. Fun fact – we came up with the intro the day of. We wanted to do a mini-radio drama that put us in the Twilight Zone. It worked flawlessly! The end monologue was something we wrote minutes after. We died laughing! I hope you enjoy this fantastic episode! Please feel free to review on Itunes or wherever!